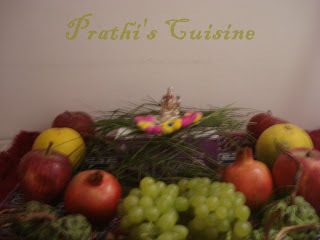 As per the Uttardi Matta Panchanga, this year Ganesha Chaturthi festival ise on 1st Sep i.e Thursday 2011. The Ganesha festival falls on the fourth day Bhadrapada Masa. That’s why we say “Bhadrapada Shulkada Chauthi Andu”. 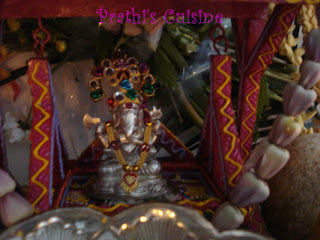 Swarna Gouri Vrata is celebrated on 31st of august and Ganesha Festival is celebrated on Thursday September 1st 2011 this year . 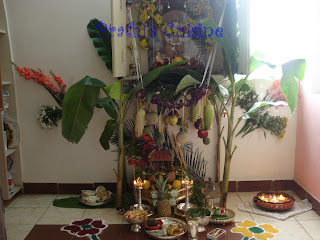 An idol of Gowri made of clay is brought two days before the Ganesha festival. Gowri is an incarnation of Parvathi. 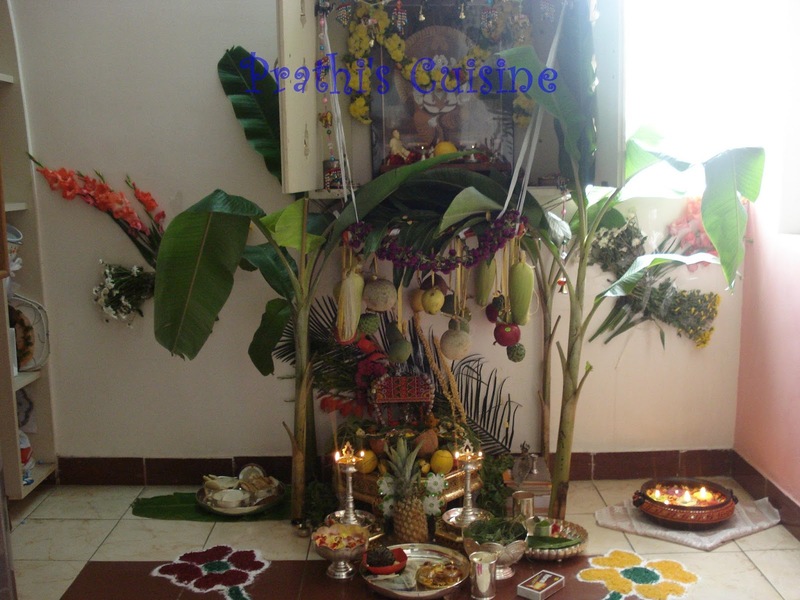 Gowri Habba, also called as Swarna Gowri Habba is celebrated on the same day of Ganesha Festival this year. Goddess Gowri, while taking shower, created Ganesha out of the mud of and placed him at the entrance of the house. She told him not to allow anyone to enter while she went inside for a bath. Lord Shiva returned home and was stopped by Ganesha at the gate. Shiva became angry and cut off Ganesha’s head. When Gauri came to know of this she was grieved. Lord Shiva ordered his servants to cut off and bring to him the head of any creature that might be sleeping with its head facing north. The servants went on their mission and found only an elephant in that position. Lord Shiva then joined the elephant’s head onto the body of Ganesha. Lord Ganesha is not just worshiped on this day, but is worshiped first in all occasions since he is considered to be the remover of all obstacles, one who brings good luck on new activities or endeavors.It is said that no one should see the moon on this aspicious day ..
For more deatils of pooja vidhanam and katha and gauri vratha. For other Nyvedhyams check out ..